Teens and young adults want freedom. You don’t want to be a nag. But when you’ve discovered drug or alcohol use, all bets are off. Rules provide a concrete way to let your child understand what’s expected of him or her and to learn self-control. Don’t just assume they “know” you don’t want them to drink or do drugs. Teens and young adults don’t deal well with gray areas, so when they’re offered alcohol or drugs, you don’t want any confusion in their minds. If you’re a parent who feels bad about setting limits, remember that deep down, your child actually wants them. Rules mean that you care about your child and his or her safety. And consequences actually help – not hurt them. A firm consequence, such as getting grounded or having to give up a fun privilege, will remind your child what not to do in the future. When you lay out rules and consequences, make sure you’re clear – and that your child understands the limits you’ve set before there’s opportunity to do something wrong. One great way to do this is to actually write out the things you expect from one another (being home before curfew, getting a ride home from a party if things get out of hand), and jointly sign off on them, in effect, creating a contract. Put it writing with a simple contract establishing clear rules and consequences. Use our template to get started. How will you know that your son or daughter is following the rules? By keeping a close eye on him or her and communicating regularly about their whereabouts, friends, activities, and more. Finding subtle ways to “drop in” while his or her friends are at your house. Ask questions before he or she leaves. Find out where they’re going, who will be there and what they’ll be doing. Check in while they’re out. Call to say hello and include a reminder that you expect rules to be followed. Ask questions when he or she gets home. Make eye contact, smell his or her hair and ask about the night to gauge sobriety and truthfulness. Reach out to other parents in your community. This way you can all keep an eye on one another’s kids. When drug use is suspected, and even once it’s confirmed, it’s useful to keep records of everything that concerns you over time – the date, time, where it occurred, what was found, and changes over time. Your child will likely work hard to convince you that things didn’t happen the way you remember, or that the things you found are not what you think they are. In addition, all of this information will be invaluable should it become necessary to seek outside help. When did drug use start? How did it start? / How did they get it? Did it progress to other drugs? Who are your child’s friends? And their parents? Who is in your child’s online social networks? Who is in their cell phone address book? If you cannot look on his or her phone, look at the monthly bill and note unfamiliar numbers. Note occasions when they come home late and who they’re hanging out with. Track the number of prescription pills in your home. Anything suspicious found in their room or among their belongings? 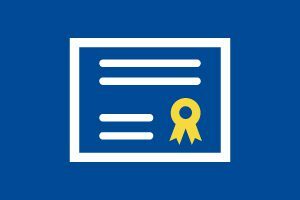 Any drug–related terms or slang in text messages or other communications (ex: “Mary Jane” for marijuana, “Vitamin R” for Ritalin or “OCs” for OxyContin)? Just because your child agrees to something during an initial intervention, it doesn’t mean their drug use or related behavior will actually stop. You need to set limits and firm consequences. No one wants to be a mean parent, but setting rules is ultimately about keeping kids safe. You can never be too safe or speak up too soon. 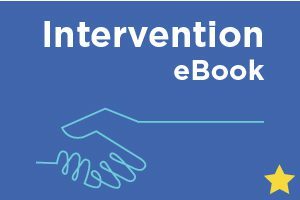 Download the Intervention eBook, our comprehensive guide to taking the first important steps to address your teen or young adult’s substance use. The best way to prevent your child from taking negative risks is to replace them with healthy risks.